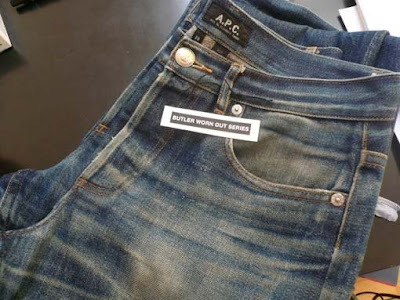 In an ode to 60's ivy-league fashion, APC is releasing the Worn Out Butler series. Just like in the old days a real person will wear the clothes and give them the worn-in look that you want, with out sanding and other processes. Hopefully the "butlers" will be people who need them. Imagine if a homeless dude wore your jeans for a year.